FREE LUNCH REPORT REVEALED! 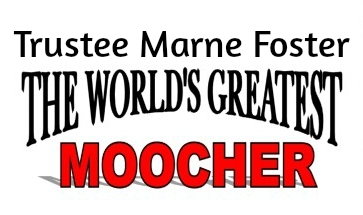 San Diego Unified’s $110,000 Trustee Marne Foster Free and Reduced Lunch HARD PROOF? YOU Be the Judge – VOTE NOW! District Deeds received a picture from an anonymous source of a Free and Reduced Lunch (FRL) Report that indicates San Diego Unified School District’s (SDUSD) $110,000 Trustee Marne Foster’s son was receiving FRL at SCPA during his senior year. As we detailed in our previous post…San Diego Unified’s $110,000 Trustee Marne Foster and Her Free and Reduced Lunch …the breakdown of Trustee Foster’s income FAR exceeded the income qualification maximums. Remember – this IS NOT just about “Free Lunch”. NOT ONLY is FRL is the cornerstone of calculating almost all of the programs paid for by the Federal Government to the SDUSD, it is also plays a major role in determining the California State Local Control Funding Formula (LCFF) which drives the SDUSD Local Control and Accountability Plan (LCAP) – the PRIMARY SDUSD PLAN for the education of all SDUSD Students! As usual with Meddlin’ Marne Foster, there are LOTS of “ifs, buts & maybe’s”. What if her son was living with his homeless Father or another relative instead of in the Foster $110,000 household for the month of September, 2013. But maybe Foster DID NOT sign the form…maybe she made her son’s homeless Father sign it like she is accused of doing in the $250,000 Claim with District Deeds Forensics proof. Maybe Foster’s son ALSO received the other benefits of being classified as a FRL Student like FREE busing (over $500 benefit) and additional fee waivers for SAT and ACT tests. What if Meddlin’ Marne found ANOTHER loophole to exploit the intent of the law to her benefit. But Foster is a SDUSD Trustee…shouldn’t she hold herself as a Trustee AND as “Marne the Mom” to HER SON to a higher ETHICAL standard and correct the misrepresentation instead of EXPLOIT it? It is IMPOSSIBLE to say with Foster. IS this $110,000 Trustee Marne Foster Free and Reduced Lunch HARD PROOF? The SIMPLE answer is for Foster to explain WHY her son was listed as receiving “Free” lunch and WHY a month after receiving it she wanted to find out about an SAT/ACT waiver from his counselor based on the FRL. But just like the “ifs, buts and maybe’s”, a simple answer from Medddlin’ Trustee Foster is always elusive. Just like Foster’s version of the Truth. Apparently the SDUSD will have to start a whole NEW $40,000 private investigation! 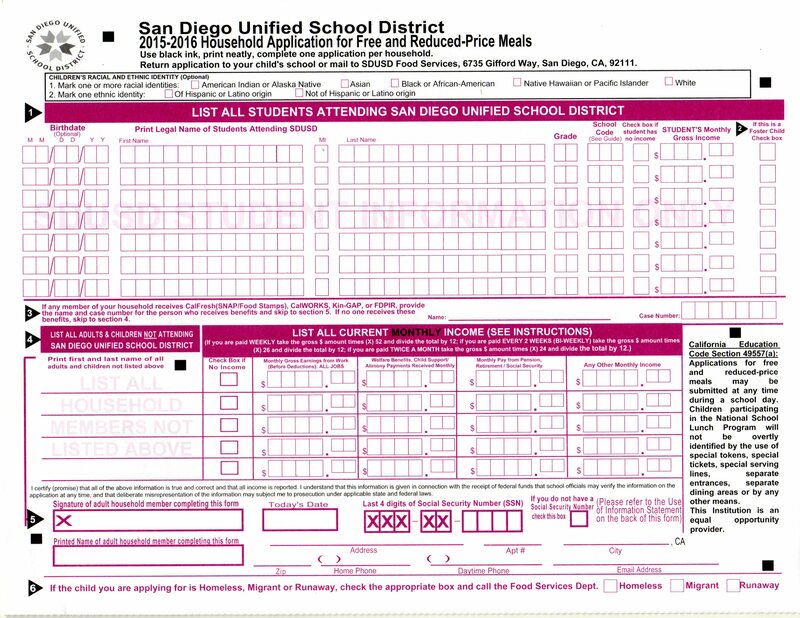 Sign the “RECALL SAN DIEGO UNIFIED SCHOOL DISTRICT TRUSTEE MARNE FOSTER” Petition! Snout buried in the trough. How many revelations will it take before she finally gets the boot? This is clearly evidence of fraud, is it not? Not only is there the fraudulent application, but email evidence of the intent to defraud and collaboration from Megan Blum-Hopgood. Where or who do we report this to?